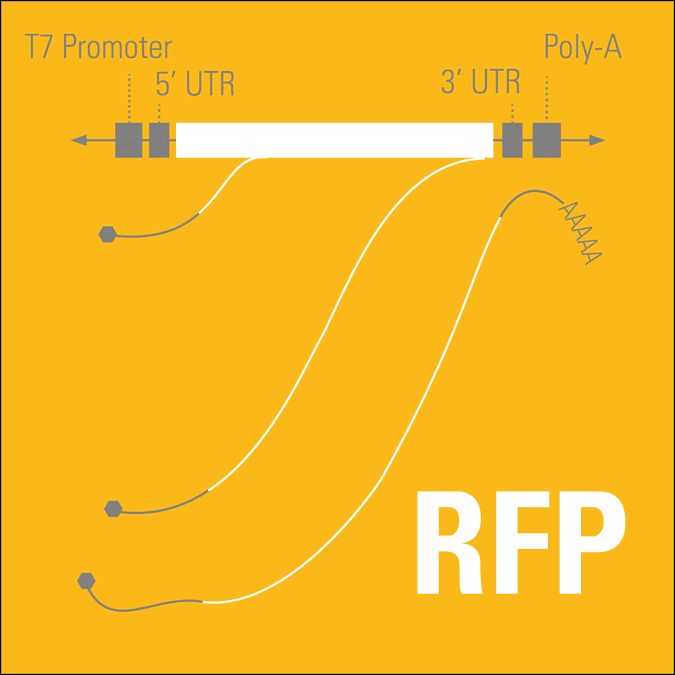 Use the mRNAExpress RFP Transcript as a positive mRNA transfection control or simply to visualize cells. Figure 1. mRNAExpress Transcripts deliver robust protein expression. HEK293 cells were transfected with 2 µg of the indicated mRNAExpress Transcript using SBI’s RNAFection™ mRNA Transfection Reagent (Cat.# MR750A-1). Autofluorescence (GFP) and immunostaining of the factors are shown in green and blue is DAPI staining for nuclei. The mRNAExpress transcripts are high quality RNAs that show the expected banding pattern with the appropriate sizes.